badly but cannot because Joburg does not have? That question was part of a longer question but it highlights the essence of her query. I thought it important to share my response to that and the overall thinking many of my readers and friends have when it comes to choosing products for their natural hair. I’ve mentioned it several times before, but I think it’s key for this statement to have its own blog post. Don’t limit yourself to the Black hair aisle. In South Africa, many supermarkets etc. 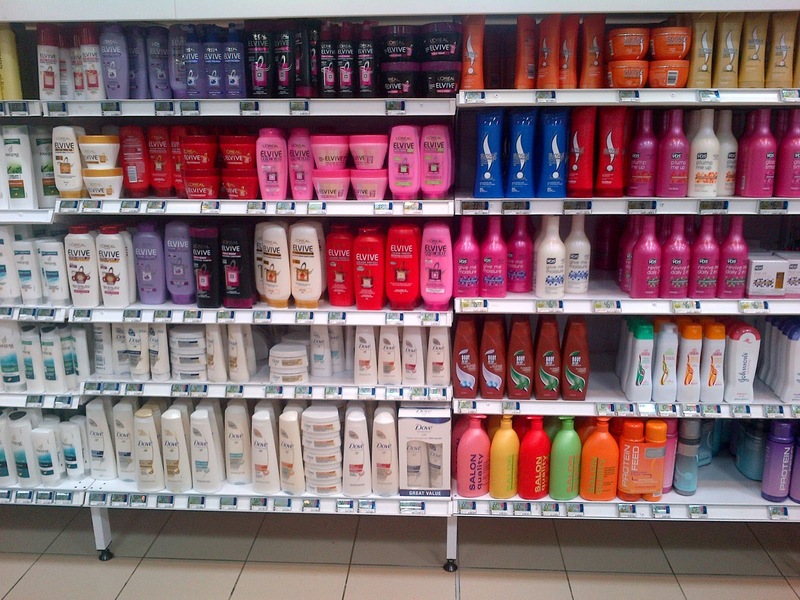 separate the hair care products by ethnicity. One thing I’ve learned when going natural is, just because it’s in the Black hair aisle, doesn’t mean it’s automatically great for my hair. There are many products that are marketed to White women that can work perfectly fine on our hair too. Your hair’s not going to automatically fall out when you try a ‘White’ hair product. At the end of the day, hair is hair. We all share the same main hair components. I say this strongly because many fellow Black women are shocked when I say I used Garnier Nutrisse’s hair dye. ‘But that’s for White women’, ‘Will that really work on our hair? !’ or when I was regularly using Tresemme’s shampoos and conditioners ‘No ways, doesn’t your hair fall out?’. No, my hair did not fall out or smell funny or become straight. In fact, I’ve found that Garnier’s dye worked much better on my hair than a dye marketed to Black women. It’s really just that: marketing. If these same products didn’t have advertising using models with long blonde hair and were placed in the Black hair aisle, you’d probably at least give them a look instead of passing right by them and heading straight for the Black Like Me bottles. I’ve actually found that most of the products I’ve experimented with since going natural are the ‘White’ ones. Previous Post Exciting Times: I’m in GLAMOUR Hair! Next Post Newbie Natural: To BC or to not BC? I too have found that using 'White' products has helped my hair. I'm addictedto Tressemme's Moisturizing Conditioner and I've found that alot of the "Black"products are not for my hair. So, I totally agree with you! I also love Tresemme, you get so much bang for your buck! My question is why is the White isle freaken four times the size of the Black isle?!? Thats messed up really. 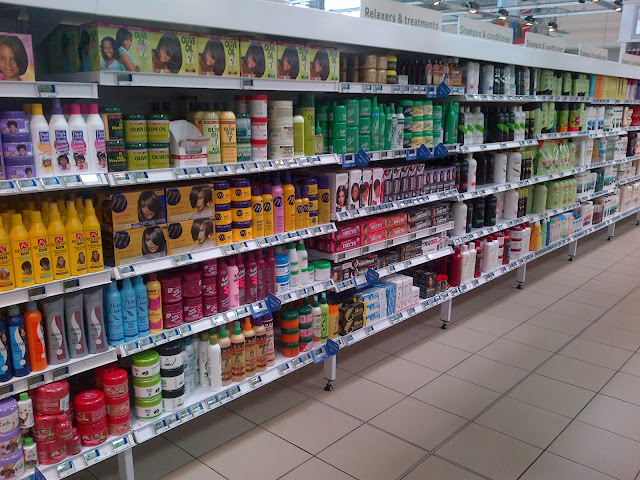 White products are formulated and priced and marketed towards their hair, who is marketing towards our hair? Anyways my mum used to wash our naturl hair with head and shoulders to fight the dandruff and the palmolive egg conditioner. I still use that and tresemme naturals conditioner for co-washing. My hair cannot deal with silicones, sulfates and too much wheat protein that most "White" products have. 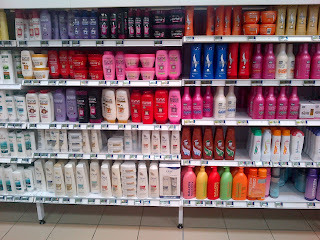 But Dischem really has sooo many good organic conditioners for natural hair. I actually had a browse in Dischem the other day and was surprised with how affordable and varied their choice is! Lol, I was just saying the same thing to Afronaturals! I love avocado oil, can't sing its praises enough! The main ones that a lot of Black hair products contain is mineral oil/petrolatum. Some women don't mind that but I prefer sticking to products that contain natural oils like olive/avocado etc. My best and favorite shampoo and conditioner is herbal essence totally twisted line. I have never been a only use black products person as everyone is unique and not all "black" products work for me. I also like the Herbal Essences stuff but we don't get it here 🙁 A lot of 'black' products don't work on me!